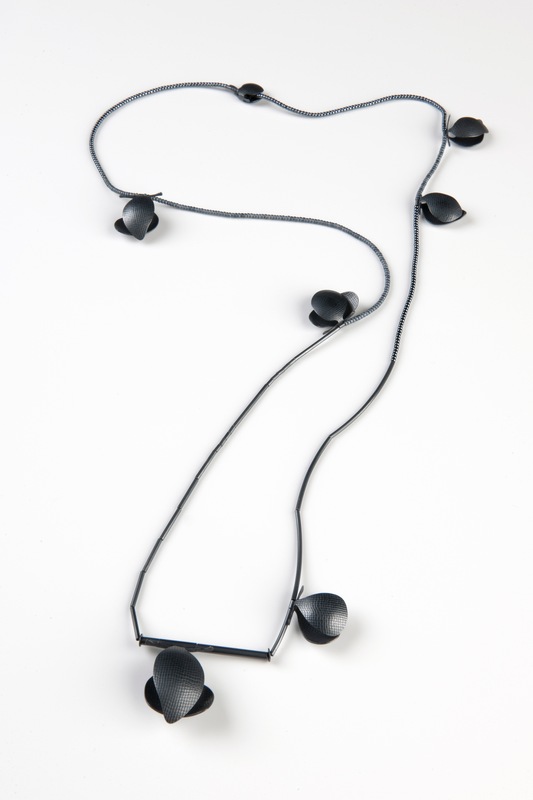 The imagery that Leslie Matthews references in her jewellery relates to anatomical structures as well as the flora and fauna that surround her; “I’m drawn to the imperfections, the diverging patterns of organic imagery, a constant reference point, the randomness naturally occurring, a reminder of the brilliance and the beauty and the decay of our surrounds.” Leslie predominantly works with sterling silver and bronze, using fabrication, metalsmithing and lost wax casting techniques in the creation of her pieces. She also often imprints a delicate woven cloth when making her jewellery to create textured lines on the surface. The soft white finish on the silver is achieved through brushing pumice powder, which both contrasts and compliments the deep blue black on the oxidized pieces. Leslie holds a Bachelor of Design (Jewellery and Metalsmithing) and a Master of Visual Arts (Research) from the University of South Australia. 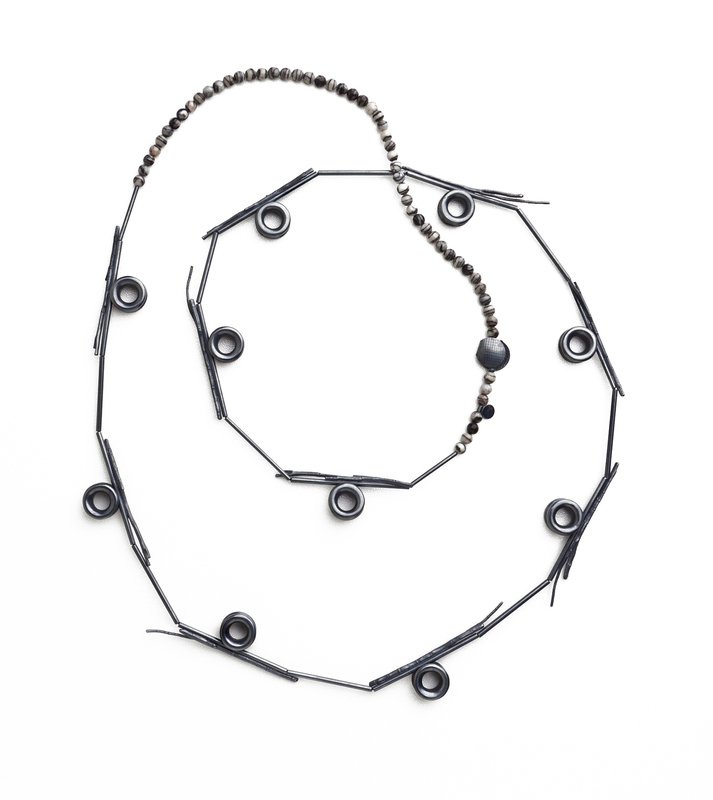 She has been a practicing contemporary jeweller and object maker for 25 years and has exhibited regularly in group and solo shows, locally, nationally and internationally.